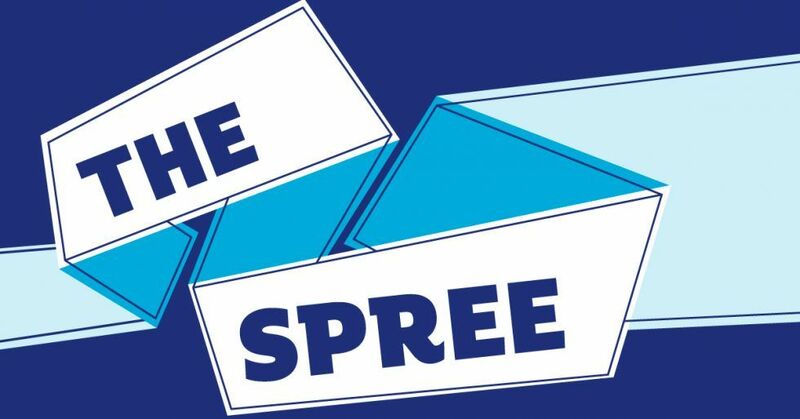 Festival fever is set to take over Paisley as The Spree returns for its seventh edition from 12 – 21 October. The hugely popular music, comedy and arts festival will see a host of top acts performing in Paisley town centre, plus a Wee Spree programme of kids shows and the Spree for All fringe festival at venues across Renfrewshire. Take a look at 7 top shows you don’t want to miss during the festival’s opening weekend. When we think of Tony Iommi, we think of heavy rock and of his innovative dark riffs. We think of the beginning of heavy metal. Join the legendary Black Sabbath guitarist for a fascinating insight into the life and career of a man whose influence on the history of popular music cannot be overstated. Know the difference between a Canadian Barn Dance and a Strip The Willow? Enjoy a late night dance and relive social dancing from your school days at this fantastic free ceilidh. The event is supported by Meur Phàislig, the Local Organising Committee for Paisley, host of Royal National Mòd in 2022. The National Whisky Festival – Scotland’s best celebration of all things uisge-beatha – comes to The Spree. With over 50 of the finest whiskies available to sample on the tasting floor, you’re sure to find a few drams to your taste. Accompanying the drams will be a celebration of the best of Scottish culture, with whisky-related arts, books, crafts and live music sets from Fiskur, Martha Ffion and Man of the Minch to keep you entertained. Don’t miss Tracyanne & Danny – the new collaborative project between singer-songwriters Tracyanne Campbell (Camera Obscura) and Danny Coughlan (Crybaby) and Glasgow cult heroes The Pastels at a special gig at the Spiegeltent. As a part of this year’s Spree for All, Scottish Fiction brings a label showcase to The Bungalow Bar. They present: Foreignfox, a four-piece alternative rock band who know how to pack a punch live; Edinburgh dark pop outfit Mt. Doubt, who have been compared to The National, Nick Cave, and The Twilight Sad; Glasgow-based Acrylic, whose sound ranges from irregular off-kilter beats, to epic sprawling guitar tracks; and HOME$LICE, bringing a melody driven alt-pop vibe, with influences ranging from The Smiths to Pixies. Enjoy a late night show in the Spiegeltent with ex-Kraftwerk member Wolfgang Flür! Flür was the band’s electronic percussionist from 1973 to 1987 and will provide an unforgettable electronica experience into the wee hours at this year’s festival. The seamless vocal harmonies of The Wandering Hearts are sure to warm the hearts of the Spiegeltent audience at The Spree 2018. The band’ is one of the UK’s most exciting new country acts with debut album, Wild Silence, spending three weeks at number one on the UK Official Country Albums Chart and was recently crowned UK Country Album of the Year. It’s a show not to be missed.